Had this been 2007, you would have been laughing at me for writing an article that focuses on job opportunities in the field of digital marketing. 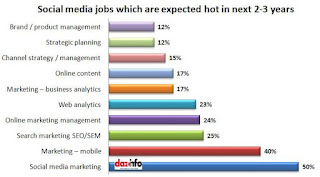 Till a few years back, it was almost impossible to find a job in digital marketing. The organizations were mainly stuck with the traditional promotional activities that aimed at spreading their product’s awareness and enhancing the bottom lines. Nevertheless, the tables have turned in a decade’s time. Today, the organizations are highly inclined towards adopting the contemporary techniques of promotion that does not only maximize their revenues but also focuses on revitalizing their brand. Search Engine Optimizer – Who would like to spend money on Google AdWords when you can conveniently get free traffic on your website? The key responsibility of a SEO executive is to carry out keyword research to support new client pitches and existing client SEM campaigns. Social Media Marketing Expert The key role of SMM is to promote an organization, its products and services with the help of social networking sites such as Facebook, Instagram, YouTube, Twitter etc. Content Writing – If you have a good command on language, content writing is surely your cup of tea. The job responsibilities include writing blogs, updating websites, developing interesting content for promotional campaigns and drip marketing campaigns. Conversion rate optimizer – Yet another job opportunity for the aspiring managers is CRO. The key job responsibility of a CRO is to enhance the conversion rate and enhance revenues. Other duties include defining and executing a CRO roadmap, market trends, implementing CRO best practice, comprehending the customer feedback and analysis. Search Engine Marketing Executive – The job description involves tracking and analyzing the efficiency of digital campaigns, targeting high number of leads, keyword research, landing page selection, split testing the ad campaigns etc. Hope this information will be useful for the young managers who are looking forward to build their careers in digital marketing. 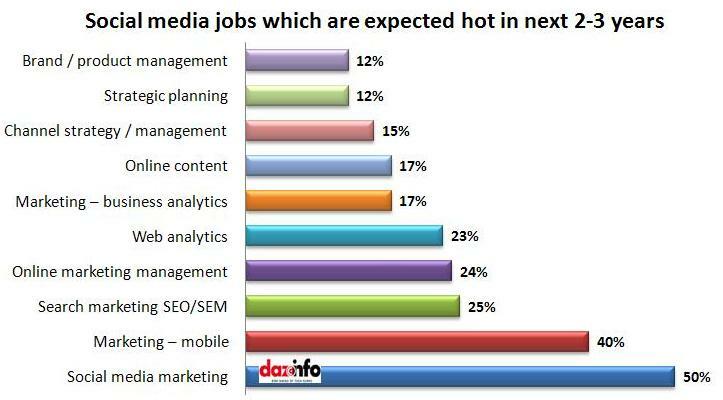 In the upcoming posts, we will explore other interesting job opportunities in the field of digital marketing.